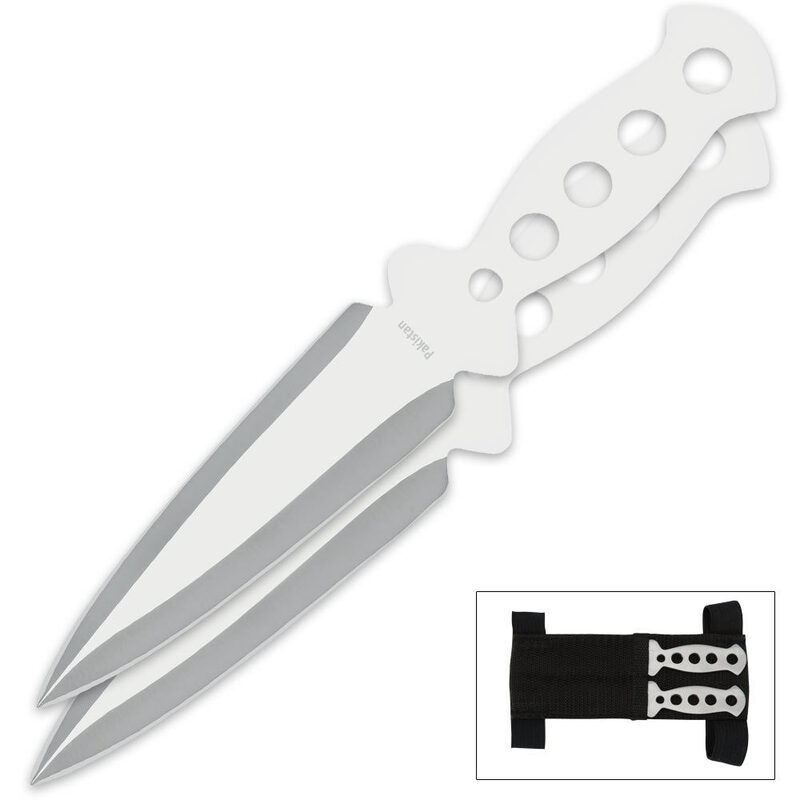 Two quality throwing knives, one truly low price! Each of these throwing knives features one-piece stainless steel construction with double-edged blades. The handles feature cut-out wind holes for improved accuracy. The piercing points are designed for maximum target penetration with every throw. The nylon sheath makes for convenient storage and provides multiple carrying options. The straps allow you to wear it on your arm or leg. This is a great little set of knives, easy to throw they stick almost every time, and there easy to conceal with the arm sheath.. These knives are good overall. Good weight. Nice texture, but when I got these the tips weren't as sharp as expected. I am a novice thrower and love the no-spin technique. These are great for such throws. The tips were somewhat dull, but can stick if thrown well. An overall good knife, but there's better out there. Definitely can't beat the price for these kind of knives.!!!! This set may be small but it is fantastic!!! this is my first throwing knife set and planed to learn how to throw them just after 10-15 min I was sticking them every time! and for a price you cant beat.